Everybody knows the name Tiffany. In the 1953 movie Gentlemen Prefer Blondes, Tiffany's is mentioned twice in the song "Diamonds Are A Girl's Best Friend". In the 1956's James Bond novel, Diamonds Are Forever, one of Bond's love interests is named Tiffany Case. 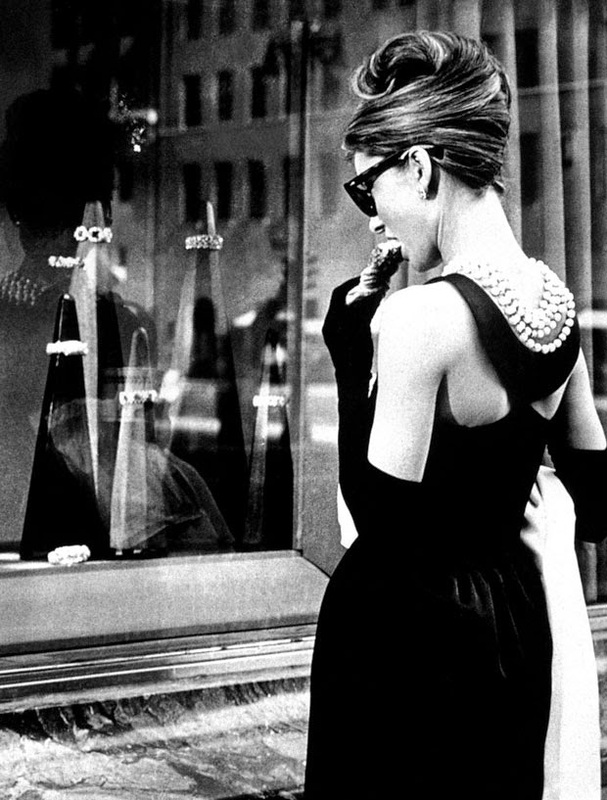 "....the only thing that does any good is to jump in a cab and go to Tiffany's. Calms me down right away. The quietness and the proud look of it; nothing very bad could happen to you there..." said Holly Golightly, Audrey Hepburns character , from 'Breakfast at Tiffany's'. 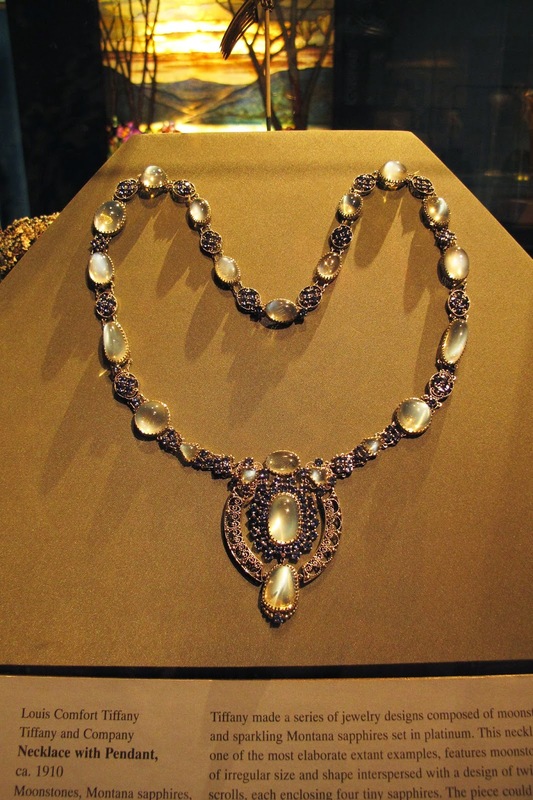 Tiffany was the Jeweler to the crowned heads of Europe, as well as the Ottoman Emperor and the Czar of Russia. Vanderbilts, Astors, Whitneys and Havemeyers adorned their evening dress in Tiffany diamonds. President Lincoln purchased a seed pearl suite for his wife, Mary Todd Lincoln, in 1861; and a young Franklin Roosevelt purchased a Tiffany engagement ring in 1904. Tiffany Blue Box is an international symbol of style and sophistication. New York Sun in 1906 wrote: "Tiffany has one thing in stock that you cannot buy of him for as much money as you may offer, he will only give it to you. And that is one of his boxes." The magic was born in New York in 1837 when Charles Lewis Tiffany and his friend John B. 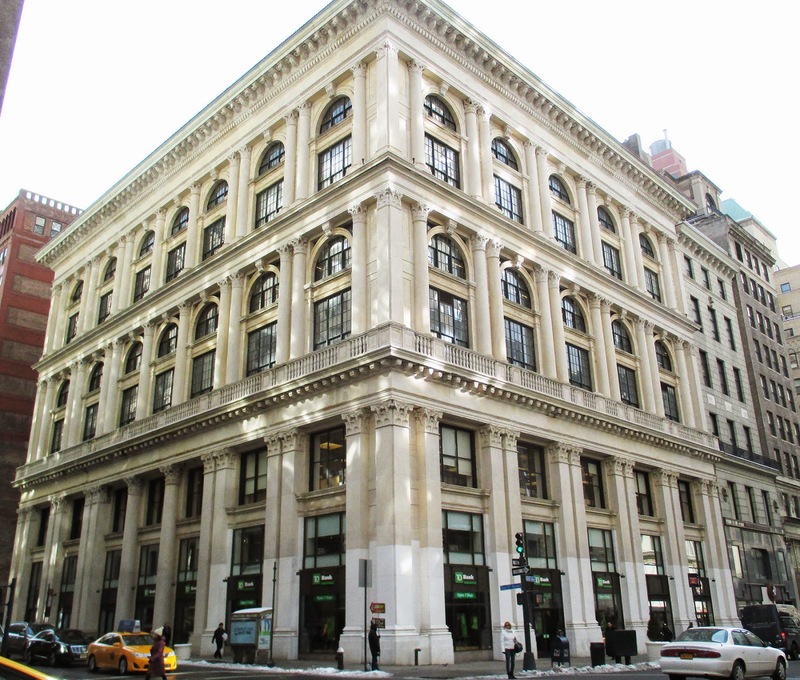 Young opened the store in Manhattan, on Broadway opposite Manhattan's City Hall Park with a $1,000 advance from Tiffany’s father. The store sold stationery and a variety of "fancy goods," including costume jewelry. As legend has it, the store brought in only $4.94 in sales on the first day of business. In 1858, the first complete trans-Atlantic telegraph cable was laid by the ship U.S.S.F. Niagara. Public interest was very high and the promoter of the Atlantic Cable project sold a quantity of unused Atlantic Cable to Tiffany. Tiffany cut the cable into pieces and sold as paper-weights, cane, umbrella, and whip handles at fifty cents each. The cable was in operation for a short period of time, but then failed. In 1861 Tiffany was selected to design a presentation pitcher for the inauguration of President Abraham Lincoln. In 1879 Tiffany bought the Yellow Diamond, the second-largest Canary Yellow diamond in the world. The diamond was discovered in 1877 or 1878 at one of the Kimberley mines in South Africa. The head of Tiffany's office Gideon Reed bought the Tiffany Yellow for $18,000. Over the years, the diamond has been offered for sale only a few times. In 1951, a price of $500,000 was negotiated but the deal fell through. In 1972 a notice in the New York Times informed the public that Tiffany & Co was selling the diamond for $5 million, and the last time the Tiffany Yellow was put up for sale – 1983 – it was valued at $12 million. Only two women in the whole world worn this diamond. The first one was Mary Whitehouse, the wife of senator Sheldon Whitehouse, on the Tiffany ball in the Marble house, Newport in 1957. And the second woman was Audrey Hepburn in her in 1961 publicity photographs for Breakfast at Tiffany's. For Tiffany’s 175th anniversary in 2012 gem was reset in a necklace of white diamonds, totaling over 100 carats. It took a year to make a necklace. It was the centerpiece of anniversary celebrations in Tokyo, Beijing, Dubai and New York City . 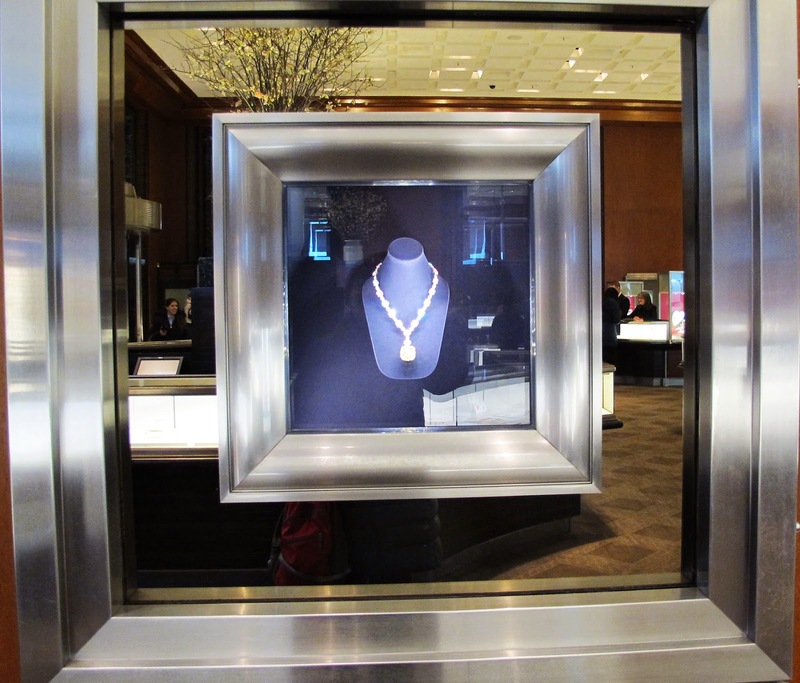 Now the necklace is on its' permanent place on the main floor of Tiffany’s Fifth Avenue store. In 1886 Tiffany introduced the engagement ring as we know it today. Previously, diamond rings were set in bezels. But Mr. Tiffany’s ring was designed to highlight brilliant-cut diamonds by lifting the stone off the band into the light. This famous ring was named the Tiffany® Setting. To this day, it is the most sought-after symbol of true love. Four years after the death of the founder Tiffany moved to 37th and Fifth in Midtown. 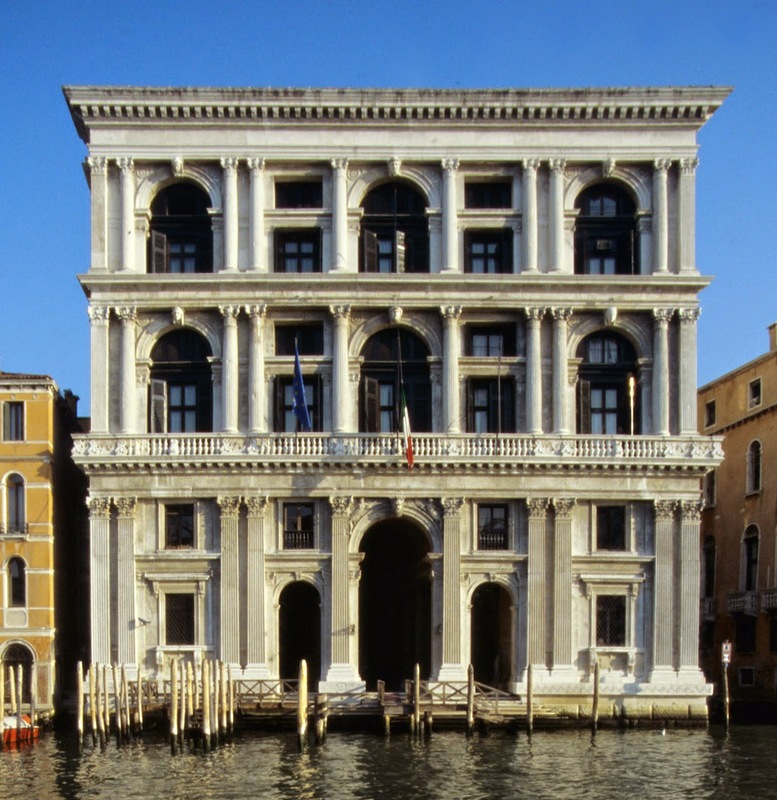 The building was designed by the firm of McKim, Mead & White, which modeled it after the 16th-century Palazzo Grimani in Venice . The architect masked seven floors behind three great horizontal divisions, framed by Corinthian columns and piers and topped by a marble cornice. 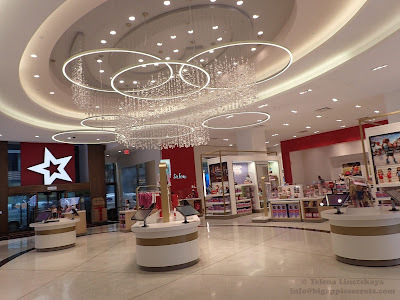 The main selling floor was surely the most magnificent retail space in New York City - it had a high, exquisite coffered ceiling, a richly carved marble stair, purplish-gray marble columns, teak floors, silver chandeliers and open-cage elevators. The building served as Tiffany’s home until 1940. The shop moved to its present location, the southeast corner of 57th Street, in 1940. 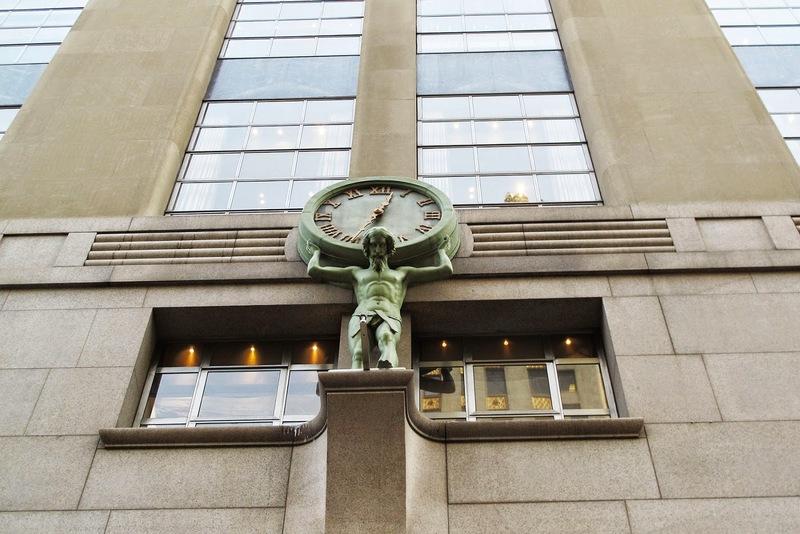 There is a 9-foot-high figure of Atlas shouldering a large clock over the door of the flagship building. This figure was sculpted by Henry Frederick Metzler, a friend of the store's founder, Charles Tiffany. Metzler was a ship builder; he was skilled in carving wood. Thus, he created a sculpture of Atlas out of wood, and painted it to appear bronze. 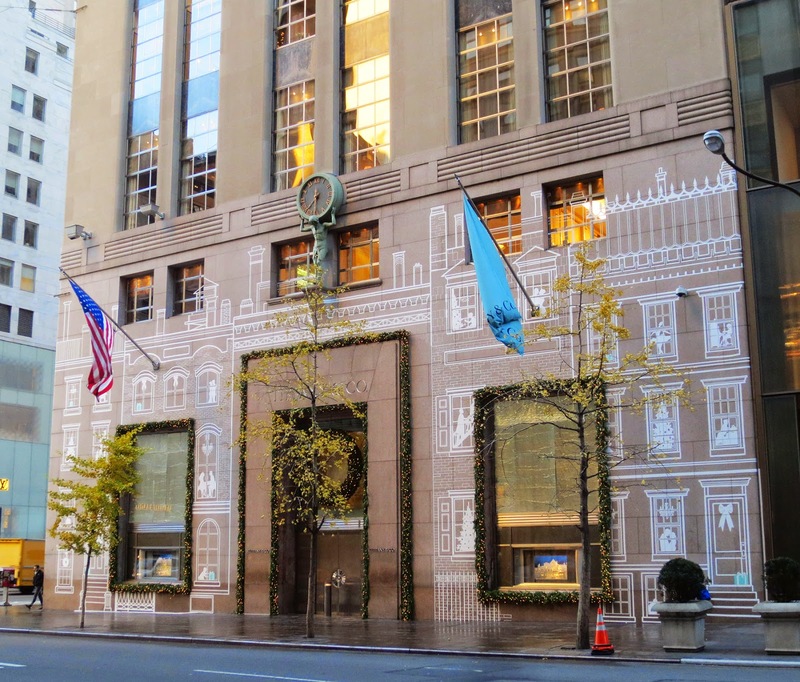 Since 1853, it has adorned Tiffany's façade, first at 550 Broadway between Prince and Spring Streets and then at other locations before arriving here. Atlas and his clock have become a Tiffany trademark and versions of the composition adorn many of the company’s stores throughout America, including Philadelphia, Seattle, Portland, Los Angles, Palm Beach, and Houston. Every holiday season the flagship building and its small windows are decorated with the scenes from the New York life. Last December a light display on the building was inspired by the Tiffany Diamond exhibit at the 1939 New York World’s Fair. 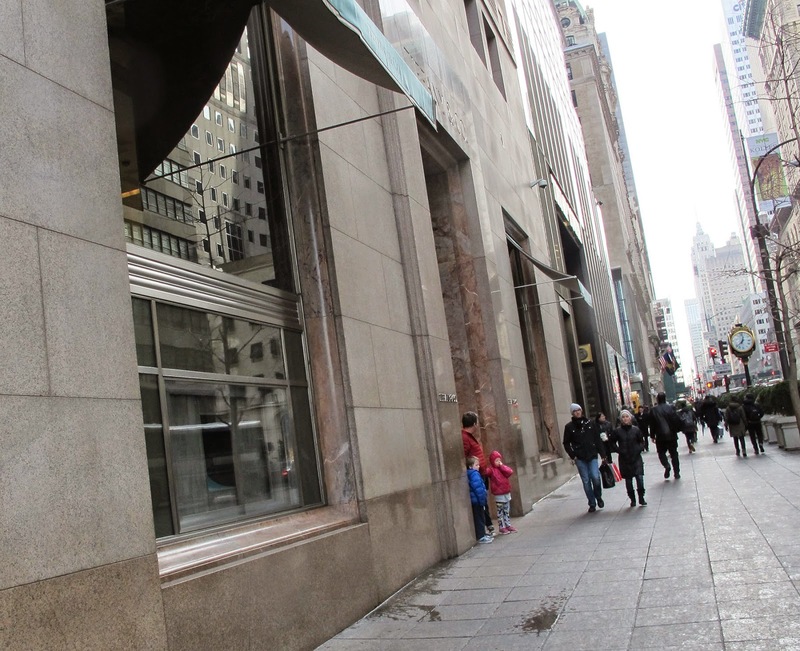 The store on Fifth and 57 street has been the location for a number of films including Sweet Home Alabama , Sleepless In Seattle and the most popular and famous Breakfast at Tiffany's . 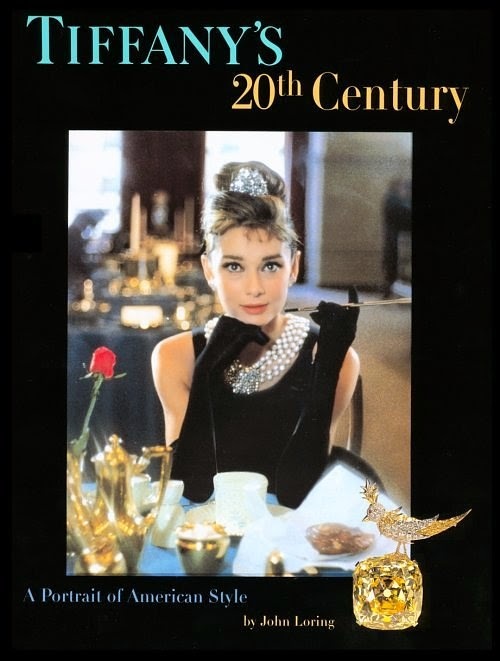 The title Breakfast at Tiffany's is drawn from an anecdote popular among Truman Capote's social circle about an ignorant out-of-towner who, upon being asked which glamorous New York restaurant he would like to visit, answered, "Well, let's have breakfast at Tiffany's". The name Tiffany is related not only to the jewelry but to the glass. I'll tell about Tiffany glass in my next post.